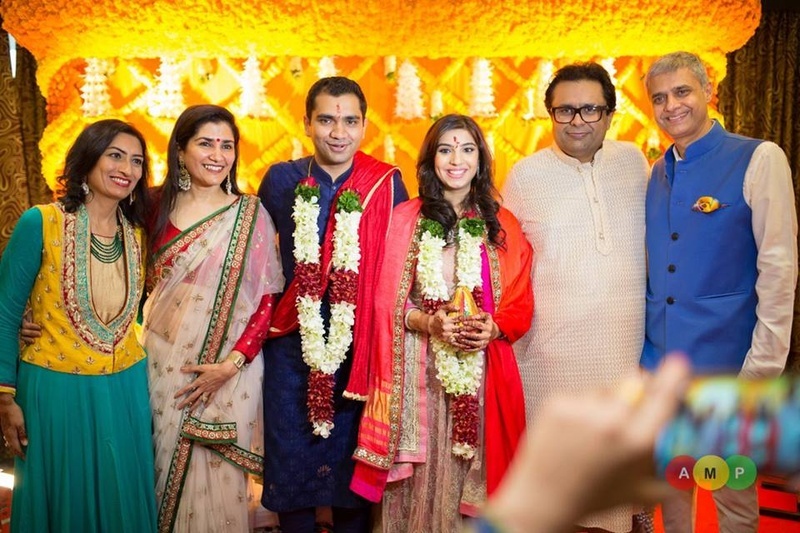 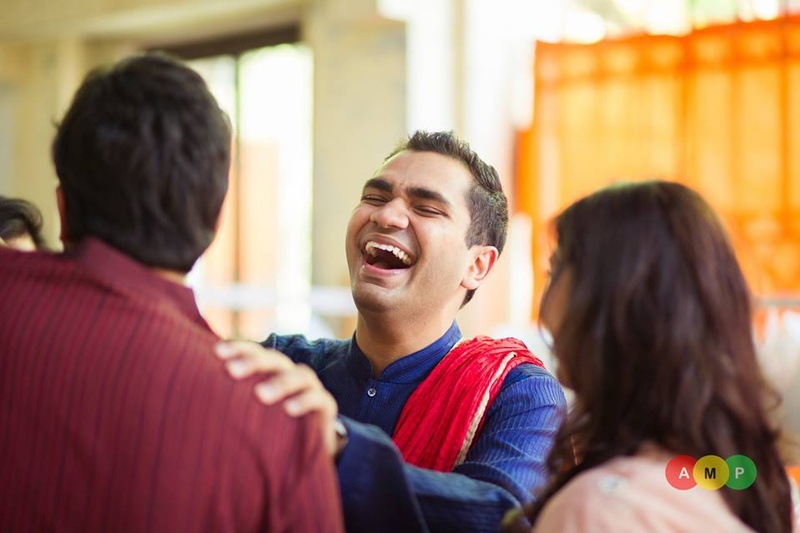 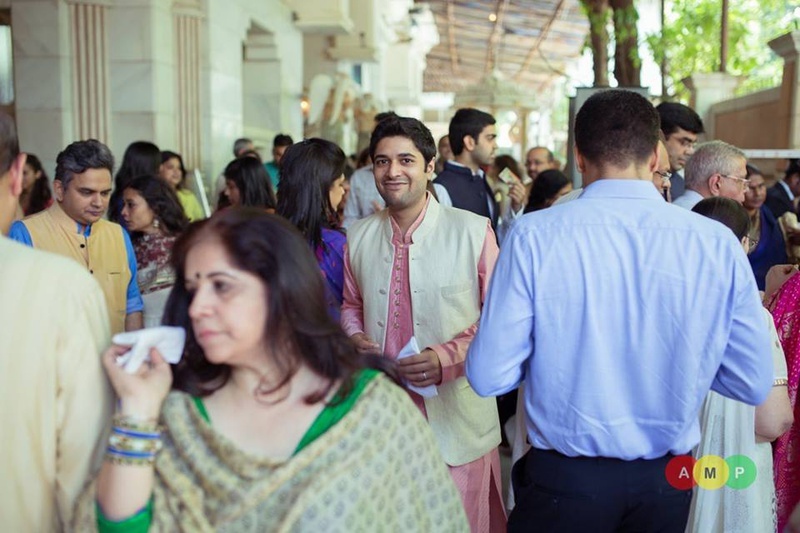 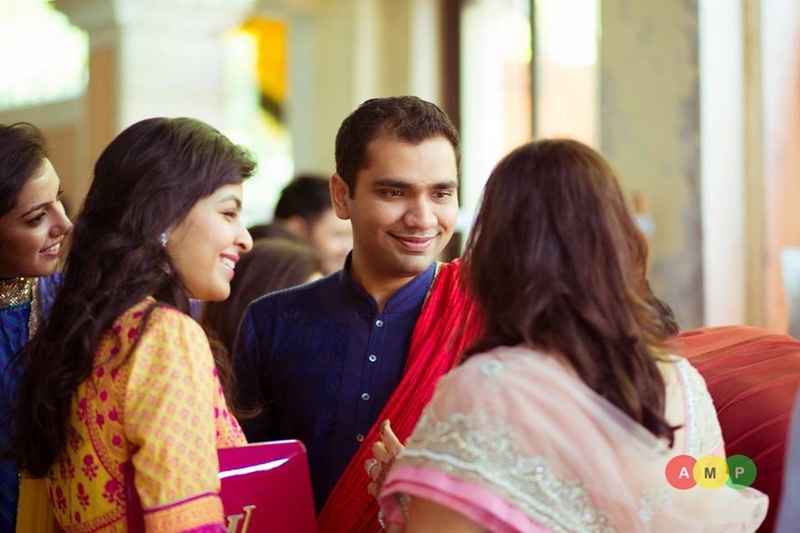 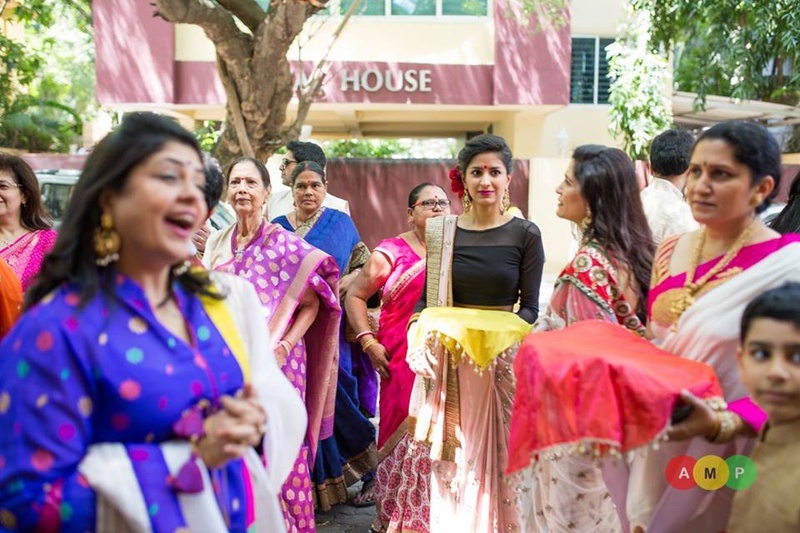 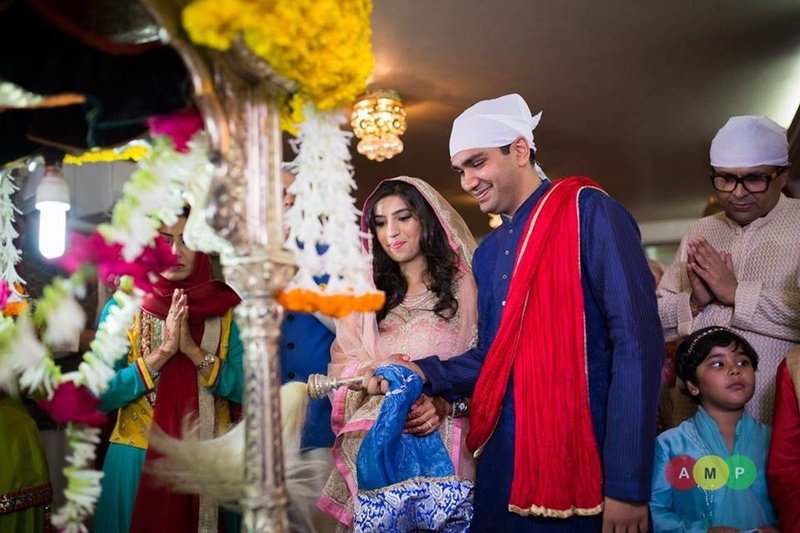 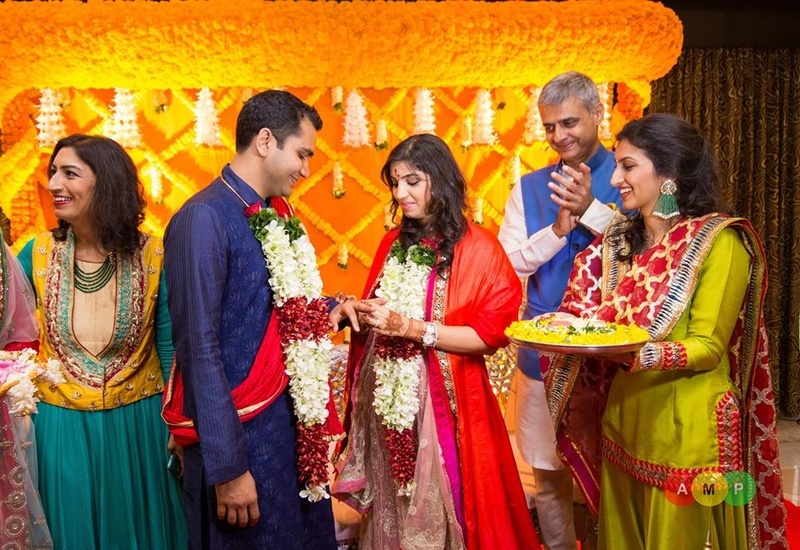 Sahil and Shivani's engagement ceremony was just as wonderful as the sound of their alliterative names. 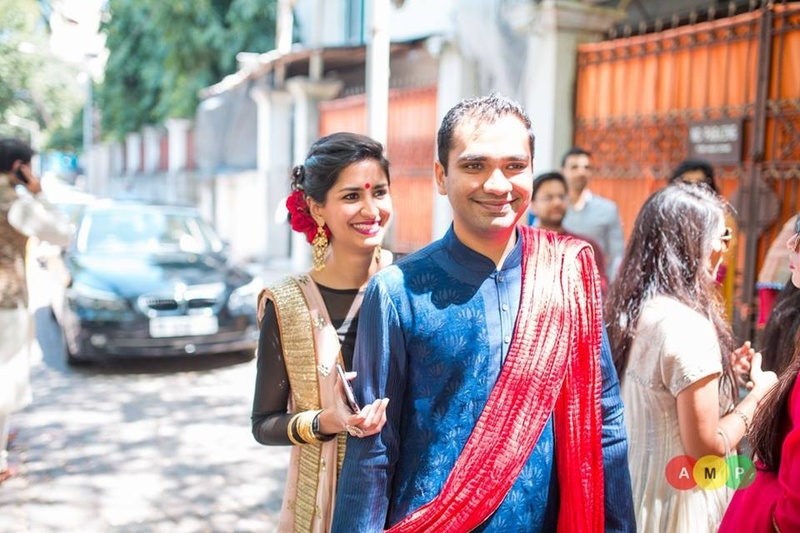 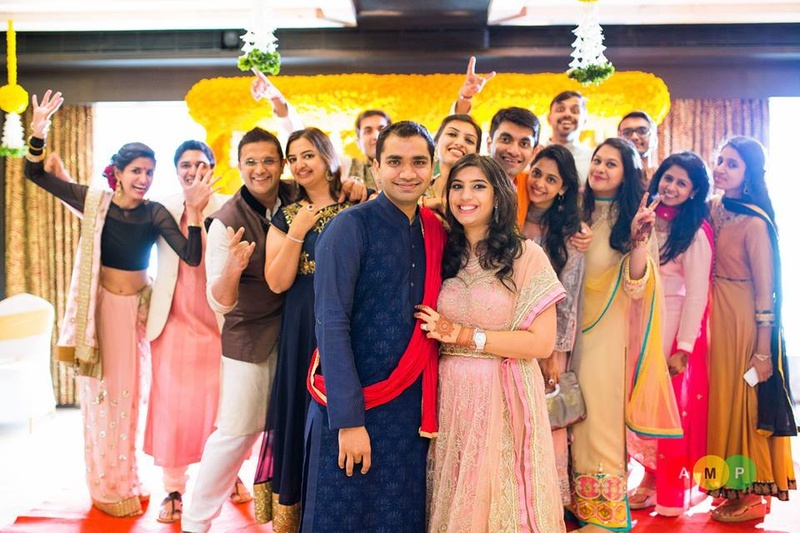 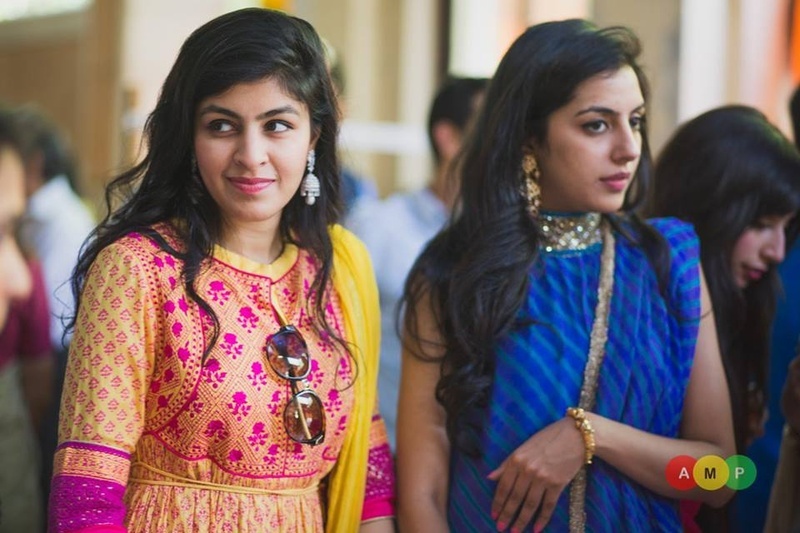 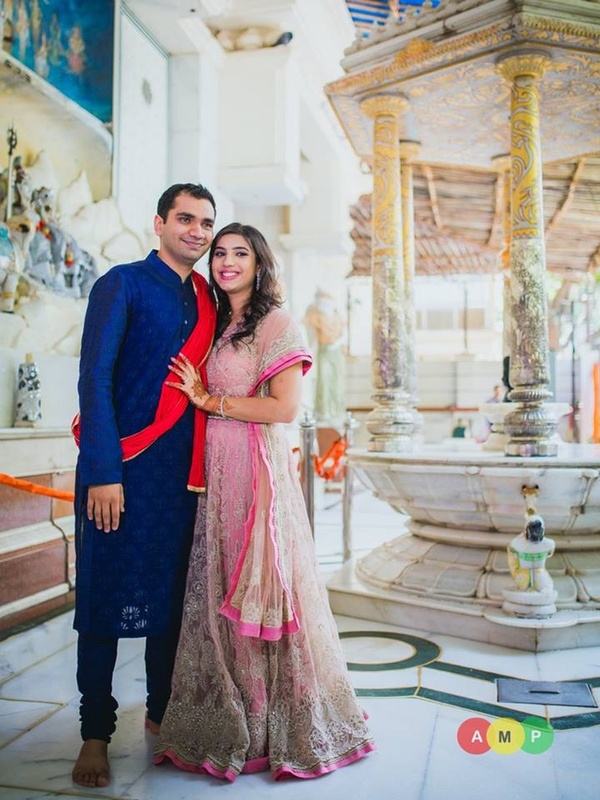 Sahil wore a textured navy blue cotton kurta-churidar and paired it with a red dupatta, and Shivani wore a pastel pink legenga-choli that was beautifully embellished with silver beads and crystals. 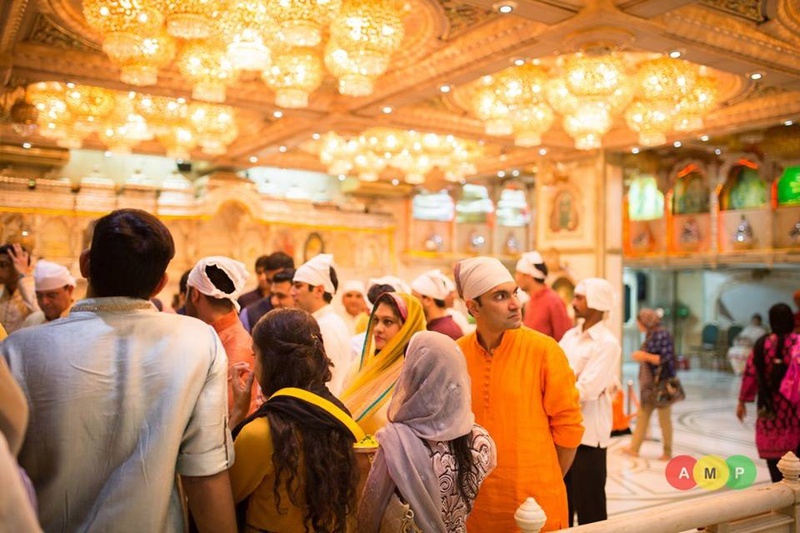 Together, they offered prayers to the almighty at the gorgeously illuminated Lakshminarayan Temple in Khar. 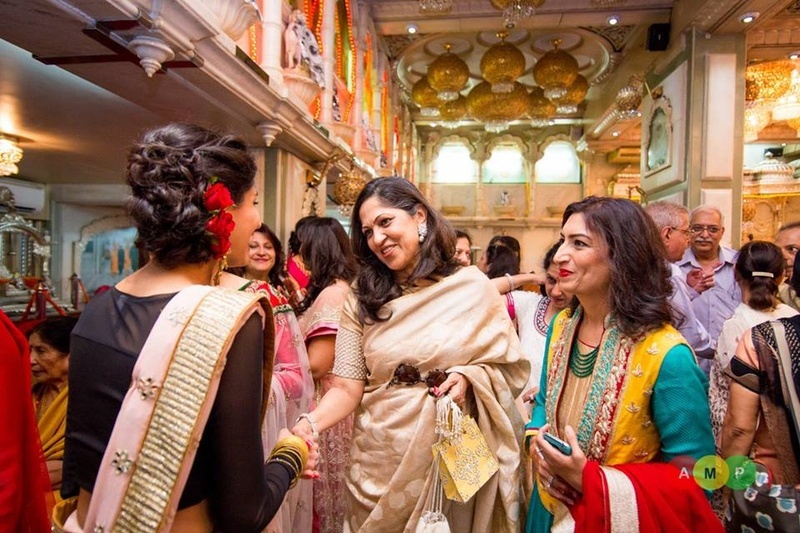 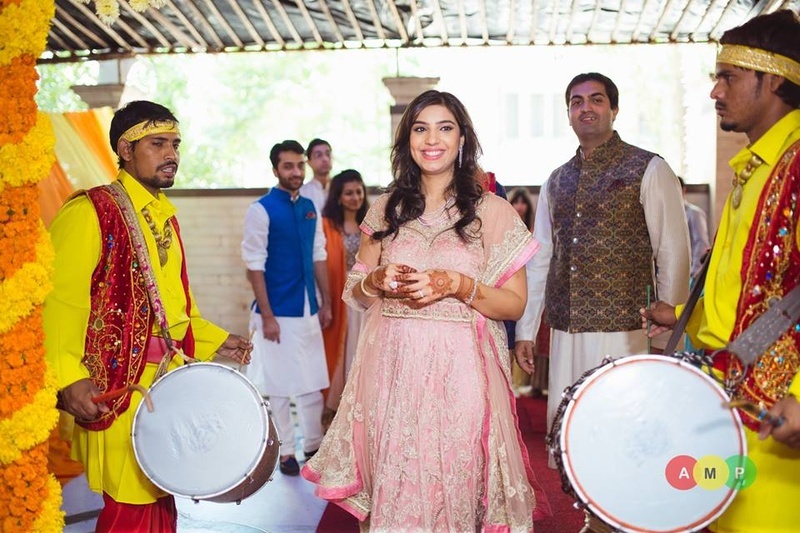 Loud dhol-baja welcomed the bride-to-be into the banquet hall that was beautifully decorated with an abundance of Marigold and Tube roses set in geometrical design. 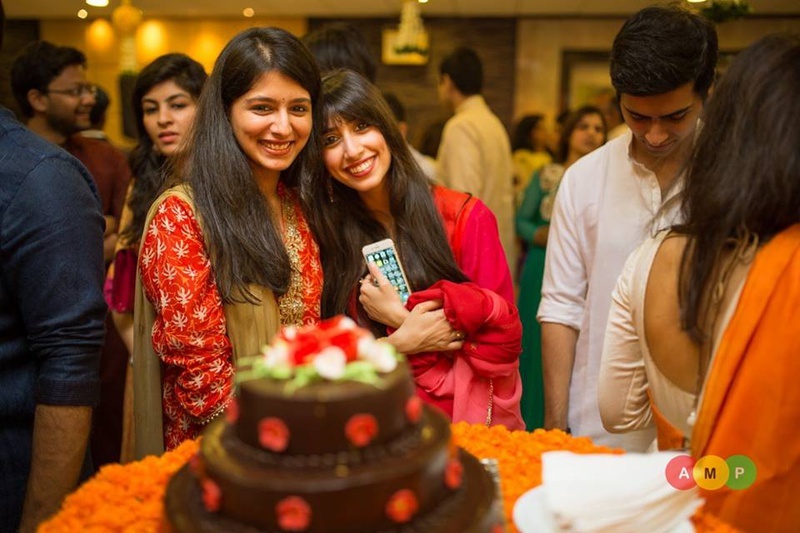 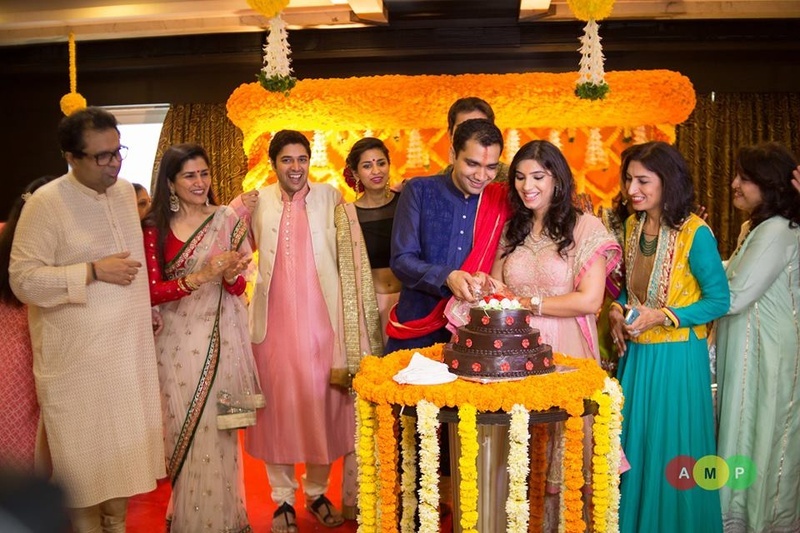 The couple exchanged rings and then cut a three-tier chocolate cake in celebration. 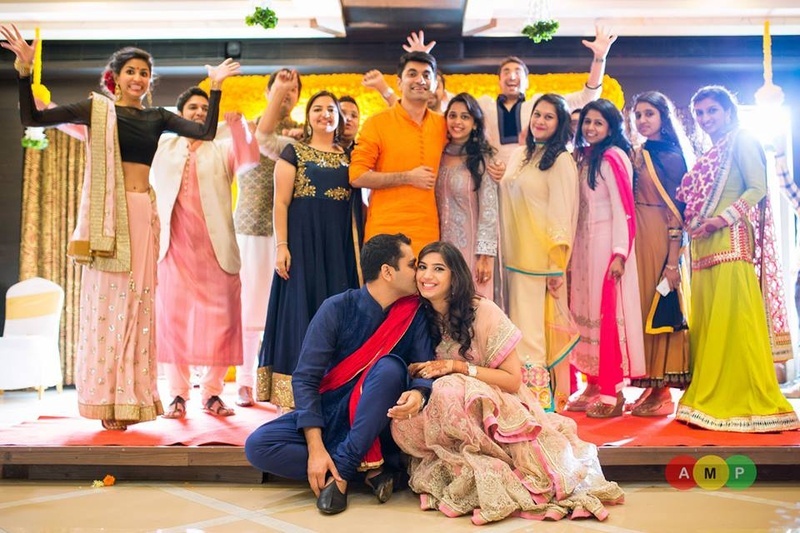 Elegantly dressed guests and loved ones posed in group photos with the ravishing couple, making memories that would last a lifetime! 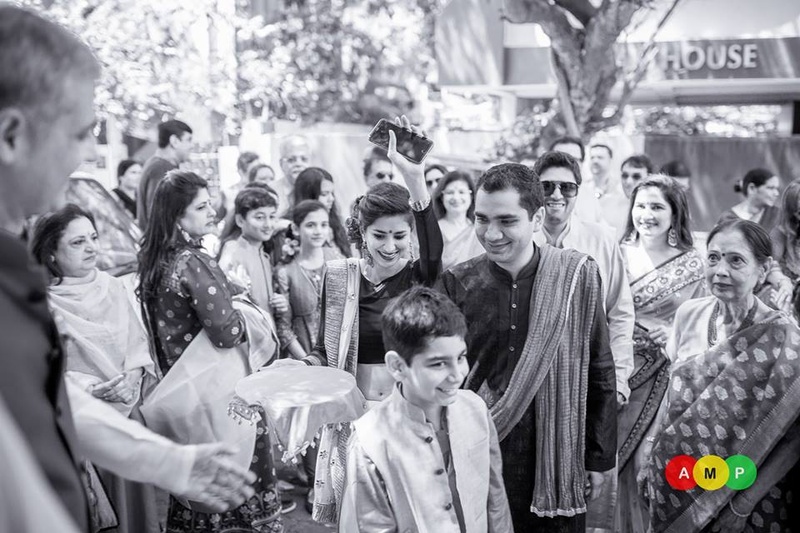 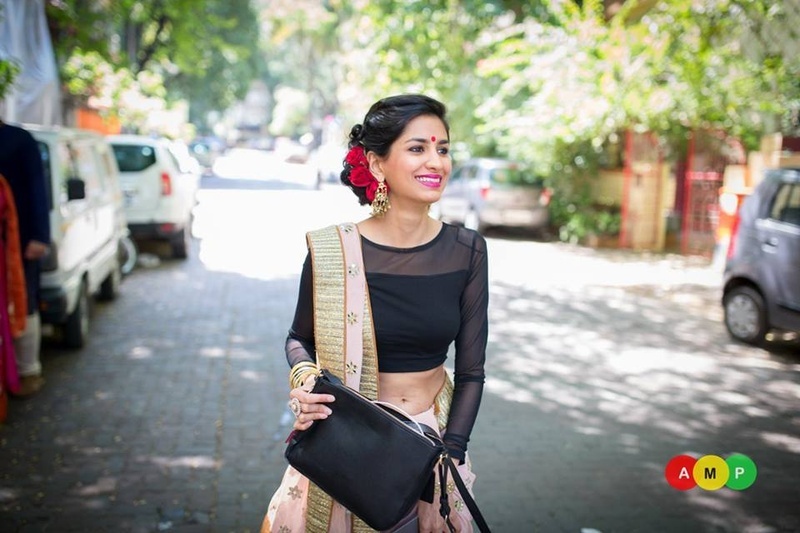 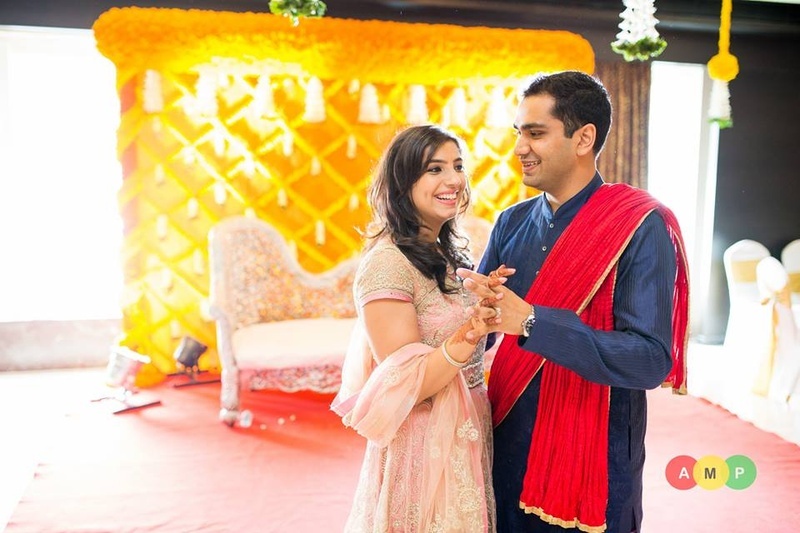 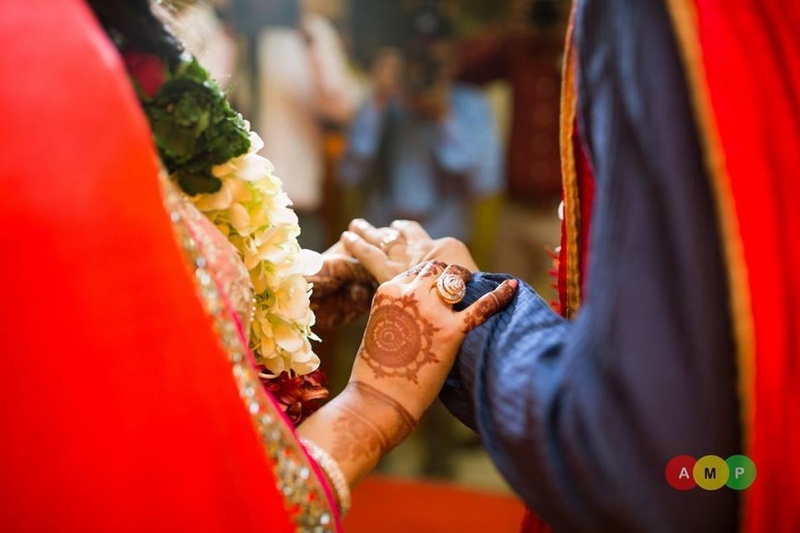 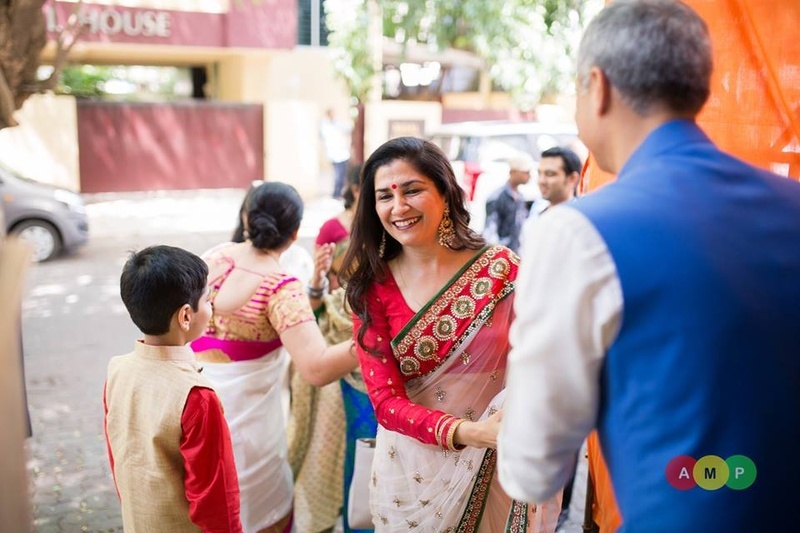 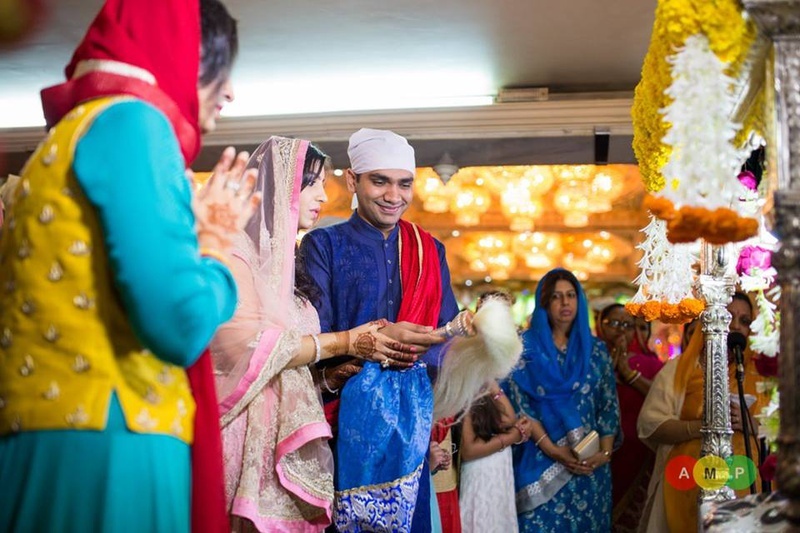 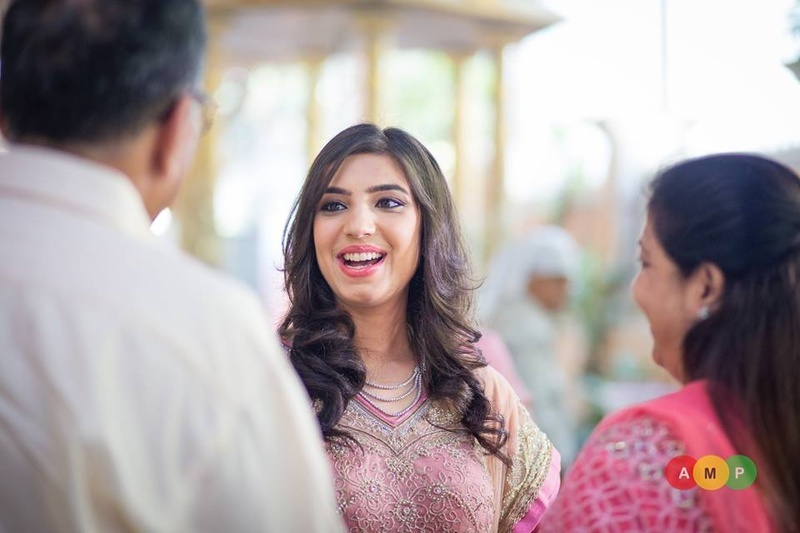 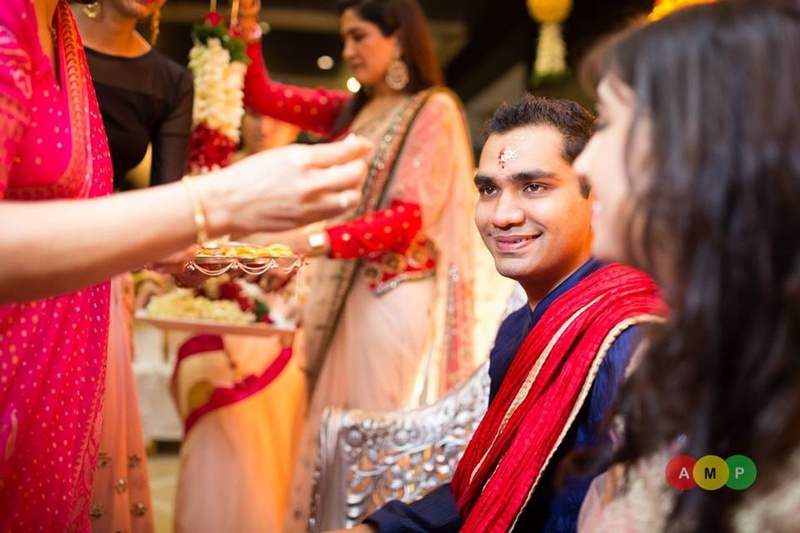 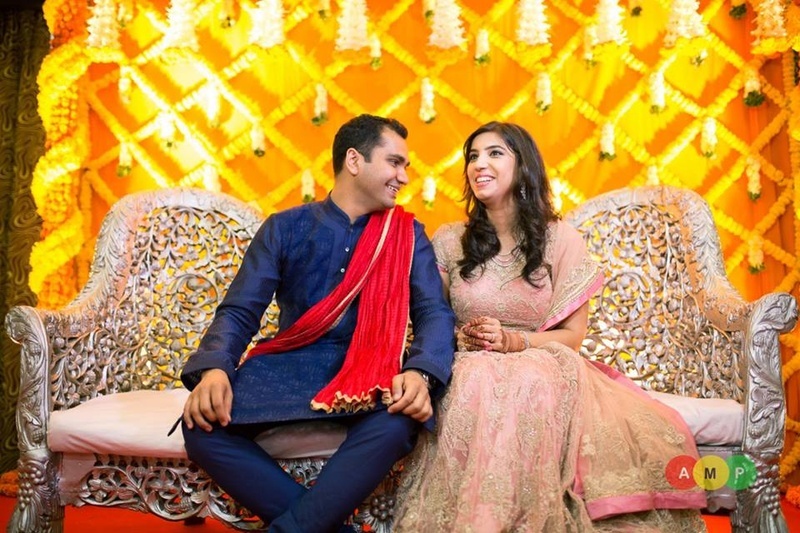 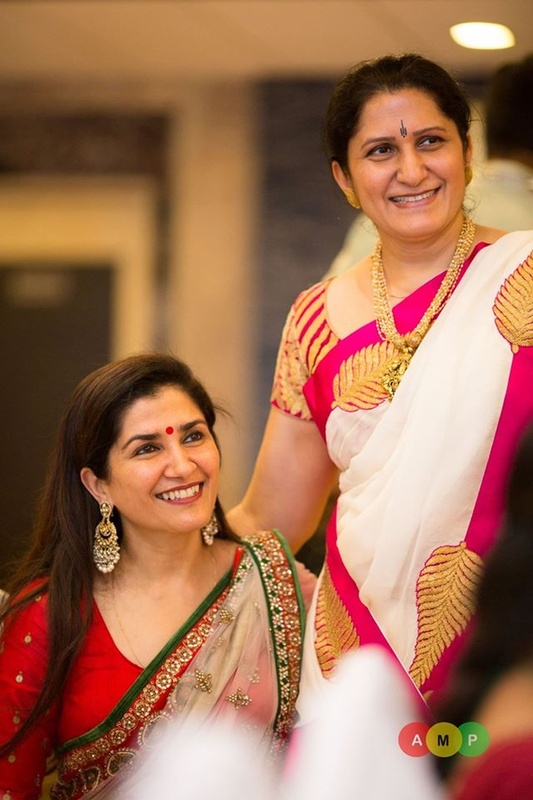 Every stunning image from this elegant engagement ceremony was captured by Anupam Maurya Photography! 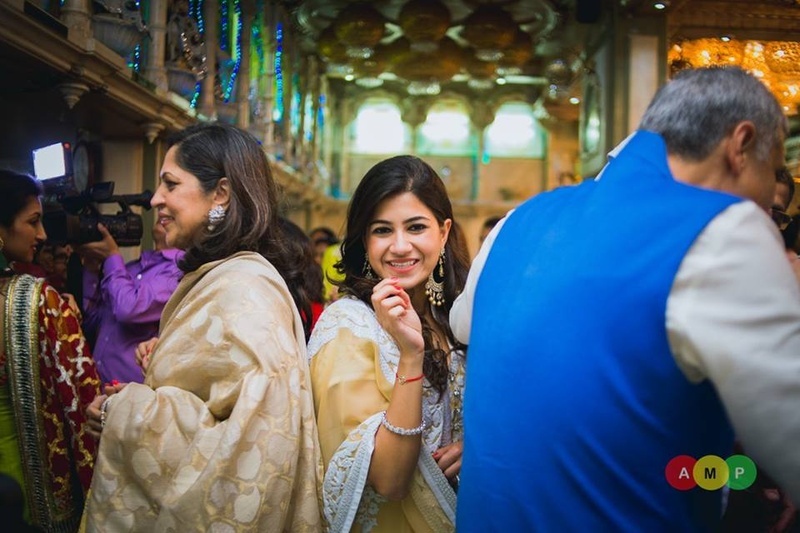 Let's have a look at a few images right here!